Not only can our content be all these things, it should be. We’re not marketing to robotic cogs in a corporate machine. We’re trying to have a conversation with actual human beings. It’s hard to create truly dynamic content when you’re stuck behind a brand façade. Corporations may or may not be people, but content that looks like it was written by committee rarely has that human spark. Your content should bring out the people behind the brand. Don’t leave authenticity and transparency in your mission statement; show it in what you write. One of my favorite marketers for showing personality is Buffer’s Kevan Lee. Kevan isn’t afraid to show the whole gamut of human emotion on the Buffer blog, from taking pride in accomplishments to acknowledging failure. His post, We’ve Lost Nearly Half Our Social Referral Traffic in the Last 12 Months, is brutally honest but optimistic at the same time. Kevan pulls no punches in describing how Buffer’s traffic has fallen off, admitting he’s not sure why, and offering readers a chance to follow along as he learns. A post like that not only helps build rapport, it’s valuable to every member of Kevan’s audience that is experiencing a similar dropoff. The result of Kevan’s unfiltered sharing? 3.8 thousand shares and over 418 comments on just that one post. It’s powerful stuff. What’s often overlooked is that this video is B2B marketing. Volvo Trucks sells big rigs to businesses. That’s what this video is all about. While those not in the target audience see a cool stunt, truck drivers see amazing precision in handling, even while the trucks are in reverse. Not only that, the commercial is an effective piece of B2B content marketing. After the ad aired, Volvo conducted a survey of 2,200 commercial truck owners. Half of those who saw the video said they were more likely to choose Volvo. A third had already visited the website or even contacted a dealer after watching the video. B2B marketing relies heavily on data, much moreso than B2C. Tell a story with that data—give it tension and drama—and you’re more likely to persuade your buyer. Is it just me, or is the previous sentence like being beaten to death with a damp sponge? What is it about corporate writing that makes people use words they ordinarily wouldn’t go near? This concept is an extension of the “show your personality” mandate. Unless you go about your daily life talking like an instruction manual crossed with a thesaurus, drop the corporate-speak. And if you do talk like that in your daily life, seek help. Your friends and family will thank you. On the minus side, if you start talking like people, you won’t sound like every other corporation. On the plus side…you won’t sound like every other corporation. What does your buyer think about when they’re not thinking about you? Most B2B content tends to focus on the narrow intersection between the buyer’s problem and the brand’s solution. That’s great for bottom-of-funnel content. But what are you doing to help your buyer the rest of the workday? How are you equipping them for success? Some would say anything outside of the problem/solution framework is irrelevant. But it’s all relevant. The person you’re selling to has professional needs that go beyond your solution—help them advance their career and—again I say—yabetcha that will make a difference when the buying committee convenes. HubSpot is a B2B outfit that has 100% internalized this idea. You will find plenty of marketing advice on their blog, but also posts on leadership techniques, mood improvement, and more. So you’re committed to showing personality and talking like a human. The next big step is to bring a point of view to your content. Let your audience know what you stand for and fight against. Take sides. Stir up a little controversy, if it needs to be stirred. Some brands steer clear of taking any kind of stand because they fear alienating potential buyers. Part of identifying your audience, however, is identifying who is not in your audience. The people who might be turned off by your brand expressing values, sharing a vision, or leading a discussion are people who were never potential buyers in the first place. Get opinionated and you can rally the people who matter to your brand and bottom line. One of my favorite B2B marketers, Jason Miller, exemplifies this idea. He’s not afraid to counter the conventional marketing wisdom, or call out lack of diversity in the industry. This willingness to take a stand has helped make Jason a thought leader and helped bring readers to the LinkedIn Marketing Solutions brand. Would you rather be a talking head delivering a monologue to your customer? Or would you rather reflect who they are, what they value, and then show how your solution can help? Let’s make the question even easier: Which do you think your customers prefer? 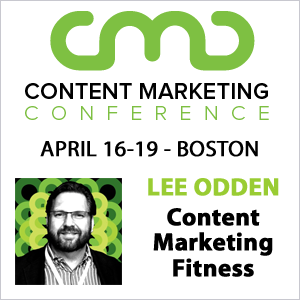 Your audience should be able to see themselves in your content. That means writing with extraordinary empathy. Or, better still, that means showcasing their stories whenever you can. My favorite B2B example of this is HSBC’s “The Elevator.” The bank wanted to show they understood small business owners and were committed to helping them succeed. So they created a web-based reality show with entrepreneurs from around the UK. HSBC provided business coaching for each contestant and awarded a cash prize to the winner. But the series wasn’t just about creating a compelling drama—every video showcased exactly the kind of customer HSBC was trying to reach. The result was an estimated £9 million in revenue from leads generated by the campaign. It’s time to step out of the shadow of our B2C colleagues. You have my permission to make your marketing every bit as personal, emotional, unique, and dynamic as the best B2C campaigns. Regardless of your vertical, good marketing is good marketing, and every target audience is made of—gasp—people. Does marketing person-to-person get better results than marketing business-to-buyer? 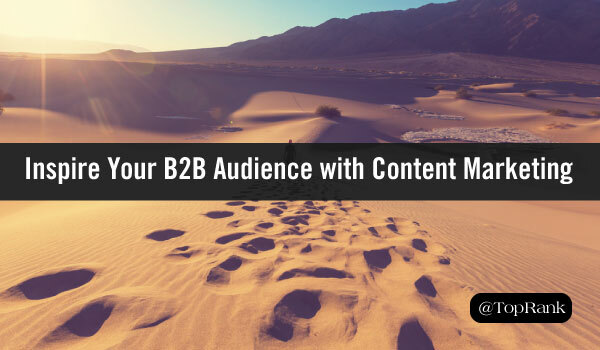 Need help creating awesome B2B content? Explore our content marketing services. I would so agree, people love to purchase via people, real busy. So show who you are in business marketing too. It will surely bring you more sales in the end.